The first church to be built on castle hill was that constructed for the bishopric of Eger which was founded by St. Stephen. It was succeeded by a cathedral built in the romanesque and gothic styles. The bishop's castle, which was fortified after the Tatar invasion of 1241, underwent continual improvement up until the beginning of the eighteenth century. As a result of the heroic defence of the castle against the Turks in 1552 Eger Castle won renown and gained a patriotic significance as a symbol of Hungarian resilience. 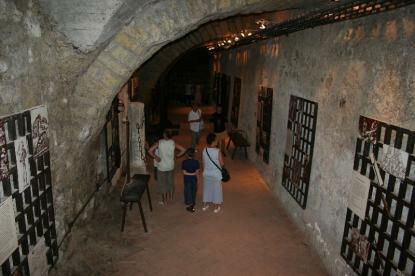 The following exhibitions can be seen within the walls of the István Dobó Castle Museum.